A couple of months ago, I shared my daytime beauty routine….so I guess it’s time for some beauty tips to make the most of your nighttime skincare routine. No matter how tired you are when you get home, there are three things that you must do (1) Take your contacts out and clean them carefully, (2) Clean your face and (3) Moisturize!!! So let’s start with taking care of your contact lenses. You all know I wear contacts and just like you should put your contacts in before applying makeup, you should take your contacts out before removing makeup. The first step is to always prepare your contact case by pouring out the old contact solution in the morning. 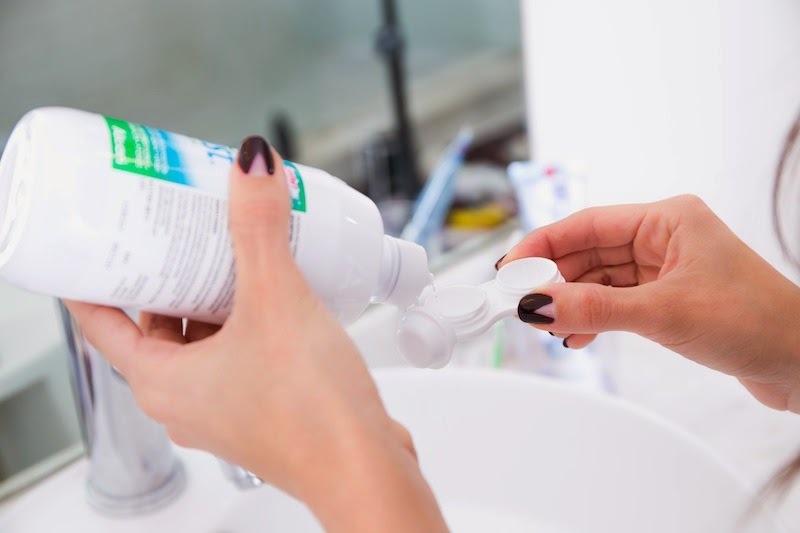 Don’t rinse your contact case with water, it’s best to rinse your case with contact solution and let it air dry. Also, You should always use fresh solution and never “top off” your old contact solution. I was given a free sample of OPTI-FREE PureMoist solution, and I recommend using it to clean and disinfect your contact lenses. It’s the #1 doctor-recommended brand. 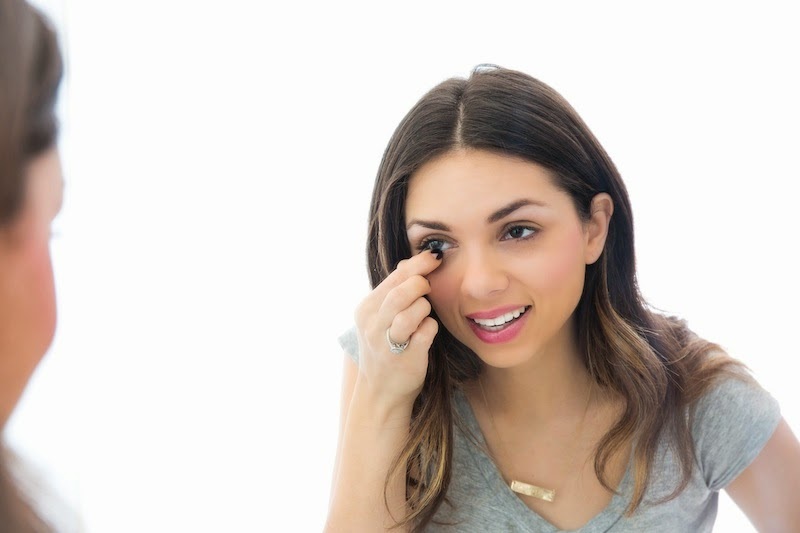 It forms a cushion of moisture across your eyes—creating a barrier that reduces deposits and removes dirt. Your eyes are a natural fashion accessory so treat your contact lenses well! I have been using an amazing mascara that can be a little tricky to take off; so to remove it, I use an oil-free eye makeup remover. Also, when I’m feeling lazy, I use makeup wipes (plus they are great for traveling!!). Finally, I use a gentle scrub to remove all dirt and prevent acne and blackheads. Even if you don’t wear makeup…don’t forget to cleanse!! - Use a silk pillowcase to avoid sleep lines…and eventually to prevent wrinkles. - Tie your hair in a loose ponytail to keep oils from your face. - Drink WATER!! We all know the importance of staying hydrated, but it’s nice to have a reminder! Share your beauty tips with us! 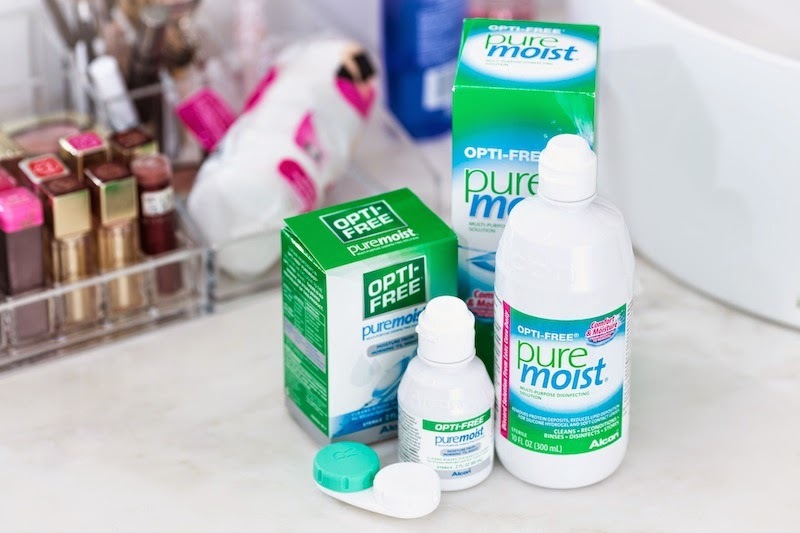 Oh and I have another one: make your contact lens care a priority and save $2 now on any OPTI-FREE® product 10oz. or larger by clicking here!! This post is sponsored by Lucky Magazine and OPTI-FREE. Opinions are my own- I have tried and believed in the products mentioned above. Ahhh...I remember those days when I've worn contact lenses, too!! >> I had an lense surgery 2 years ago & this was the best decision I made << that's life quality, OMG!! ¿Alguien conoce alguna página web en donde vendan lentes de contacto? Acá en Venezuela no se consiguen.